Already the toughest tire to tackle rocky terrain, the STI Roctane XD gets even stronger and more durable thanks to the addition of dual Kevlar® belts. A lightweight synthetic fiber with five times the tensile strength of steel, Kevlar® has a bulletproof reputation that matches its application. With dual Kevlar® belts engineered in a cross-weave pattern running shoulder to shoulder on the new Roctane XD-K tires, STI Tire & Wheel triples the puncture resistance of this nearly impenetrable tire. 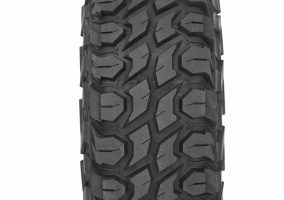 The new Roctane XD-K also features a stiffened tread/sidewall compound that enhances the strength of the Kevlar®, making this tire’s 8-ply-rated radial carcass even more robust. The new construction gives the XD-K the pinnacle of Roctane “Xtreme Duty” performance. 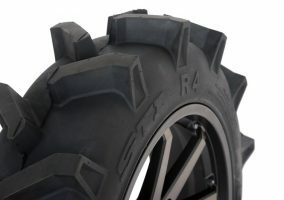 This Roctane keeps the family’s unique, non-directional tread design and wide profile footprint that delivers smooth, quiet operation and precise control. Like other Roctane XDs, the XD-K uses a specially formulated tread compound that helps extend its life and lets it grip the slickest rocks like a dedicated wall-crawler. 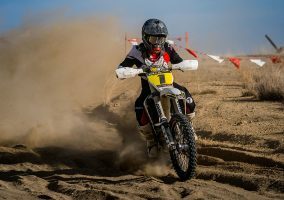 The Roctane XD-K tires are available in four sizes at authorized STI retailers, distributed exclusively by MTA Distributing. Suggested retail prices range from $197 to $281, but check with your favorite retailer for actual pricing. Max Mud Performance. Smaller Package.